GID Part 2 Torrent! 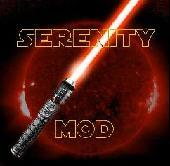 - 12 March 2011 - Jedi academy Mods: By Serenity. Shall we allow users to post new threads in Serenity section? Main » 2011 » March » 12 » GID Part 2 Torrent! seeded by Me , Bliznez! Totally new alternative to Google! And yet another mod, TOTSL!